The Ultimate Valentine's Day Gift is here! Get your scented heart here! 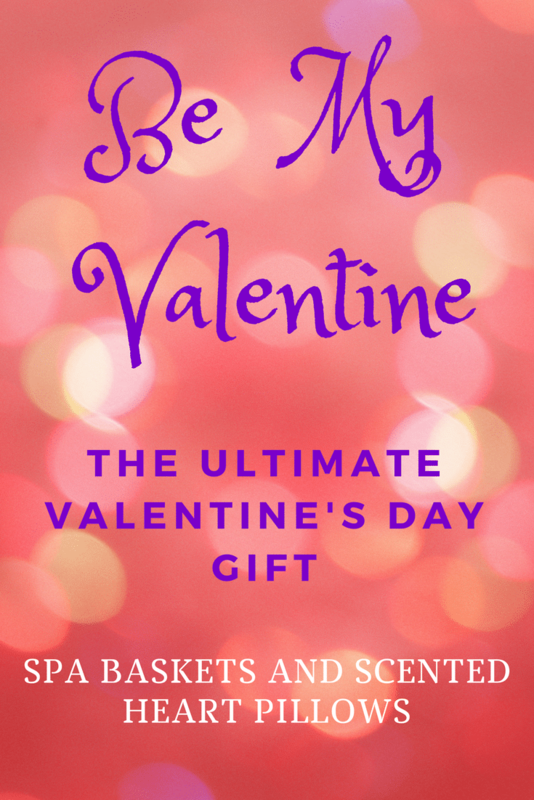 The Ultimate Valentine’s Day Gift – Spa Baskets and Scented Heart pillows! 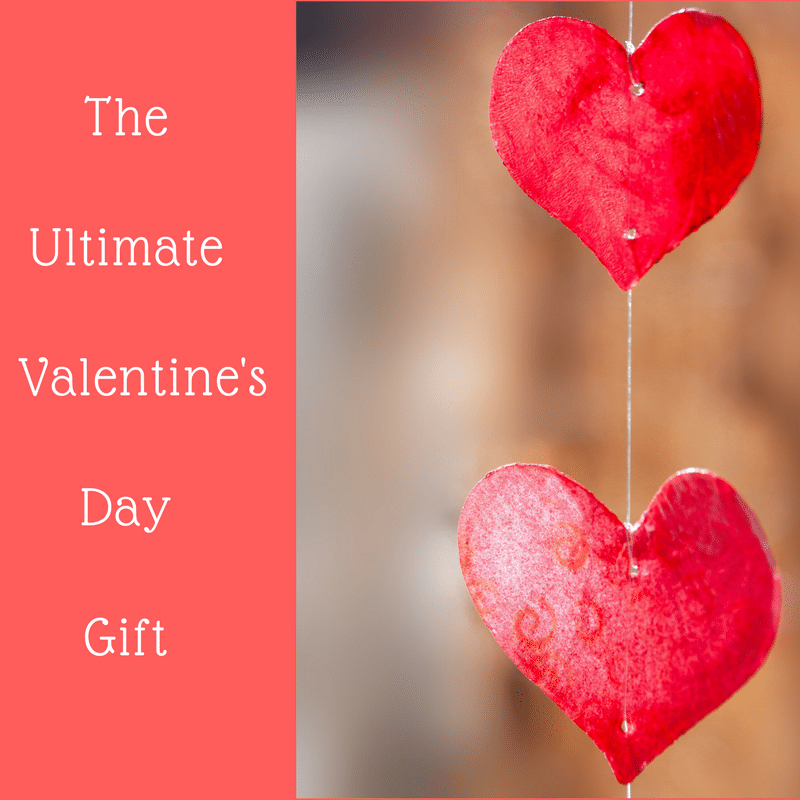 What is the Ultimate Valentine’s Day Gift? What gift will you buy for your Valentine? Have you thought about the gift you will buy at all? Wouldn’t you like to buy a gift that is more tailored to your person of interest? Valentine’s Day is not only for couples! Valentine’s Day is a day for everyone to express their love to one another! It’s not just for couples but as I said before, it’s a day to show one another that we truly love them. A day to be with your love ones (whether its friends and family, boyfriend or husband, wife or girlfriend, and anyone else for that matter). I believe that we all have found a way of seeing that the celebration of Valentine’s Day is not only for couples. I know I have! Have you? No really now, have you ever thought about this? If not, think now. Why should we celebrate this day only for couples that are in love, when this day is a day for celebrating LOVE! Yes, Love! A celebration of love means just that and what better way to show your love with a handmade gift or a gift from the heart. Don’t despair! This is why I’m here! To help you with that perfect gift that is special and meaningful for your loved ones. My best seller at D’s Ideal Gifts for gifts on Valentine’s Day is my spa baskets and my handmade heart pillows. Let’s see, starting off with my lovely handmade Heart Pillows that are all uniquely made and all include a small pouch of dried lavender within them. These hearts are all designed by myself and are all unique, unless orders request multiple quantities of a specific design. Each heart is filled with a pouch of dried lavender so that you can enjoy this fragrant scent anywhere you decide to hang or place the heart. The lavender used is from a friend who grows them in her field and not store bought so you know that the fragrance will last. As I said before, my heart pillows are handmade and only made according to order. There are so many combinations of designs I can make that it would be impossible for me to sit here and give you all the combinations. This is why I have these made to order. 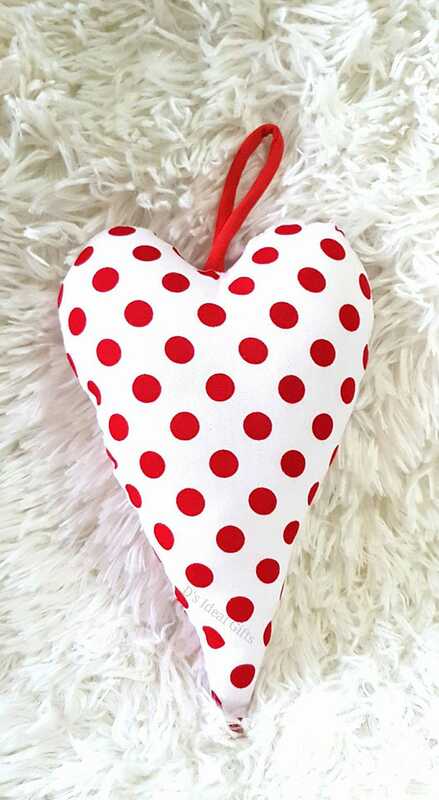 I have the materials for the basic red heart with lace on hand and maybe a few other designs but anything else would need to be requested. Keep in mind that they are reasonably priced and make for a perfect gift for any occasion. For all of you who are asking me about the delivery days and days needed for orders to be executed, below I am explaining it in detail how it works. It usually takes me up to 7 working days to actually make the products and get them ready. Then customers should allow for another 5-8 working days for the item to be shipped and for arrival to destination (these dates are usually for within Europe). Depending on the country of delivery it may need longer. But as an average of 15 working days from the day of the customer’s order until it reaches the recipient. In some cases where the delivery days will exceed the 8 working days, for example if sending to Australia, then this will be stated upon order for better communication with the customer. Also you must have in mind that during busy seasons such as Christmas, Valentine’s Day and more, you should allow adequate time and make sure to order in advance and not wait until the very end. Below I have a few of my designs for you to see. If anyone is interested in purchasing any or would like to ask anything else to please send me a message either on my contact page or through Facebook at D’s Ideal Gifts. Spa Baskets are not that difficult to make and are very useful and thoughtful gift. You can make them according to age, gender and even occasion. All you need to do is choose a few items like the ones on my list below and place them in a pretty basket or box of some sort, dress it up and you are done! I usually fill my spa baskets based on my customers order and preferences. Always having in mind the person who is receiving the gift! Also for any of you who are just not into spa baskets or the scented heart pillows you could always check out my post on the gift guide I wrote for Christmas and New Years Eve. If that is not enough inspiration then don’t worry, I have more. I have more to show you. You can see here for more photos of the products I make and sell to get ideas or place your orders for any of the items you may see and like here on Facebook and Instagram. I hope you all found this useful and helpful for you to make your own Spa Basket! Or you could also order your Scented Heart Pillows now! Leave your comments below as to what you will buy for Valentine’s Day? Also what you would like to be gifted this Valentine’s Day? I look forward to seeing your comments and maybe give me a few ideas too…. I have received some gifts this VDAY, these will definitely go to my list for next year ! That is great! What type of gifts are they? Anything you care to share with us? I love this hamper and pillows options for a valentines day gift! I am so happy to hear that! I thank you for your wonderful thoughts and I hope I have inspired you with my ideas. Your good vibes and thoughts are priceless to me. Thank you again for your kindness. What a cute Valentines’ Day gift!!! Thank you Jeff. I hope it is liked by all and I think its something that lasts and is usefull too! The spa baskets are a dream gift! I mean, who wouldn’t want one? Who would say no to some relaxation and pampering? I know I wouldn’t! I have never heard of scented pillows before! I also love getting baskets full of goodies, I feel like that is the best gift to give on any occasion. Jess, the scented pillows are usually for decoration purposes, and I remember making them as a kid. I used to make them around Valentine’s Day and Mother’s Day. I hope you enjoyed these ideas. The basket of goodies are always a good ideas as they can be tailored to any occasion as you pointed out. Thank you for your kind words. These are all so sweet, and thoughtful. Those pillows are amazing!! Far craftier than I could ever be. Renee, thank you for your kind words. I’m sure you are crafty at many other things if not sewing. Edwin you are right! There are a lot of amazing gifts for men too. The spa baskets can be made for both men and women, but I guess the scented hearts are more for women(at least that’s what my customers have mainly ordered this year). I am glad more and more people are gifting to friends and family. This year some of my customers ordered for their children too. I hope you enjoyed my post as much as my handmade products and gifts! Hi Jenny, I usually leave hints here and there! If he doesn’t understand my hints, then I leave a more direct hint somewhere I am sure he will see and understand it, then I’m sure he gets the point. It has always worked for me. Hope you get what you really like this year! Love love the season of love! I know! Isn’t it just awesome Floby? It truly changes your mood from winter into transitioning towards spring! Thank you Vivienne for your kind words. That is such a great idea for a party theme too! I could do mini spa baskets as gift favours for the party! Such a great idea that you have given me. Thank you so much! I hope you enjoyed these ideas as much as I do. Thank you for your appreciation. I do believe that it is best to give a present that is of use and has a purpose. These 2 gift ideas are my best sellers after all! I love these? Guess what? Years ago, as a teen, I used to make and sell little valentine hearts to my friends in school! I agree with you, valentines day is not just for lovers, it’s for everyone. This year, my valentine is my twin sister! I’ll get her a bunch of flowers and we will make lunch or dinner together. Thanks so much for sharing, and I hope things go well. Joleisa, thank you for your kind words. It is really nice to see people enjoying Valentine’s Day with friends and family and not only as couples. I hope you and your sister have a wonderful time. I love the idea of gifting a basket fillet with goodies that the other person receiving the said gift. Indeed it is a wonderful gift. Like a gift full of surprises. As you open it up you find multiple smalll gifts that are practicle and useful!